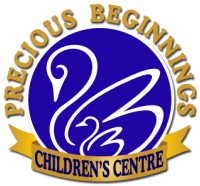 Precious Beginnings curriculum is based upon the teachings of Dr. Maria Montessori, and is developmentally appropriate for children from birth to age six. Our curriculum is guided by the Ontario Ministry of Education, however the curriculum offered by Precious Beginnings surpasses in most instances the guidelines set by the Ministry of Education. The Montessori Method is supported by hundreds of unique self-teaching materials available in each classroom. Unlike traditional teaching materials, they are not linked to specific knowledge, skills or usage, but exist to stimulate mental development and constructive thinking. They also increase attention to detail coordination and create excellent work habits. In order to facilitate learning and the Montessori approach the classroom is divided into various learning centres which allow for scheduled learning as well as free play. A daily classroom schedule will be posted outside each classroom for you to see. We are dedicated in providing each child an education for life: When your child is ready to transition from preschool to elementary school it is our goal to have instilled a love of learning, a discovery of one’s innate potential, and a desire to make the world a better place.